As you complete all of the spring sections for this year’s book, there are likely a bunch of leftover photos that didn’t make the cut. While many of these images are totally amazing, there just isn’t enough room for every picture you nab to wind up on the pages of your book. When this happens, you have options. One of my favorite yearbook ideas to get a little extra mileage out of your committee’s hard work is to use these photos for a fundraising campaign. Below, I’ll walk you through exactly how you can use these images to raise money for your school, and how to to make sure your fundraising campaign doesn’t impede on your yearbook sales goals. When you’re using your extra images for fundraising, your best bet is to go simple, Select just a few of the most fabulous leftover pictures to promote to the students at your school for best results. This helps to limit the amount of work your committee has to dedicate to the project, and makes it easy for students to select a few images to purchase. To start, narrow down the photos you’ll share to no more than five images per group, team, or club. Look for pictures that offer a unique perspective–something the students couldn’t have taken themselves. Make sure you get a range of photos to include everyone from each group, as students like pictures of themselves. When your campus has an opportunity to get professional photos with their friends, doing what they love, they’re more likely to buy and support your campaign. 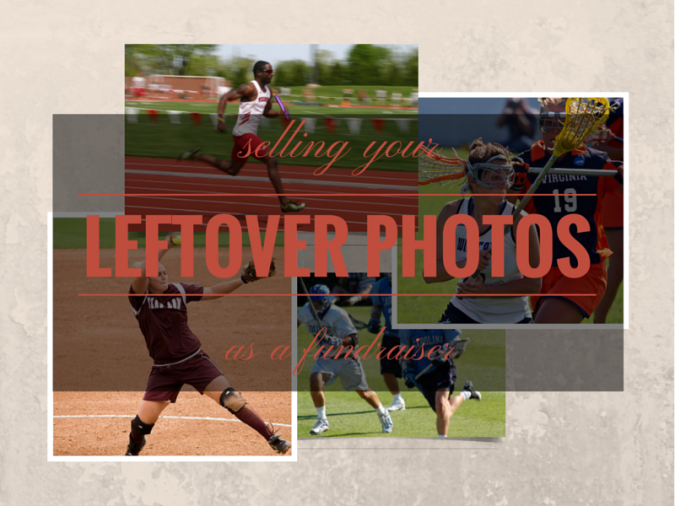 To make this a successful fundraising effort, you need to package your photos to sell. Once you’ve selected a few of the spring activity images to share with each group or club, make it clear how they’ll be available. For example, will you be printing them in a variety of sizes, or only one? Will they be available for digital purchase, or only print? My personal recommendation is to offer each image in one size for print–either a 5×7 or an 8×10. Then make the photos available for digital purchase, which would allow students to print their own copies. By limiting the options, you’re able to share those fabulous photos with a wider range of the student body, but limit the amount of work that this type of endeavor creates for your committee. As you’re out talking with the students who would be interested in purchasing these extra shots, make your pricing model clear. 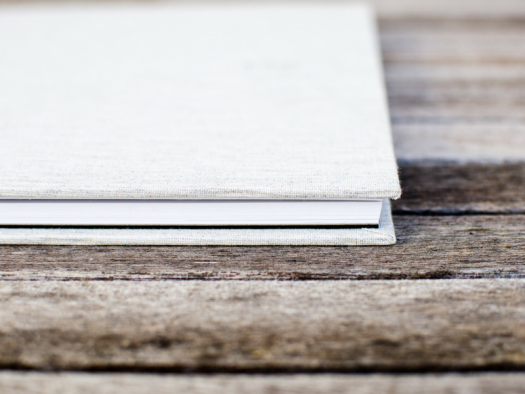 Bring an example of each printed photo to show off the quality of your print job and get students excited to buy their own copy right now. 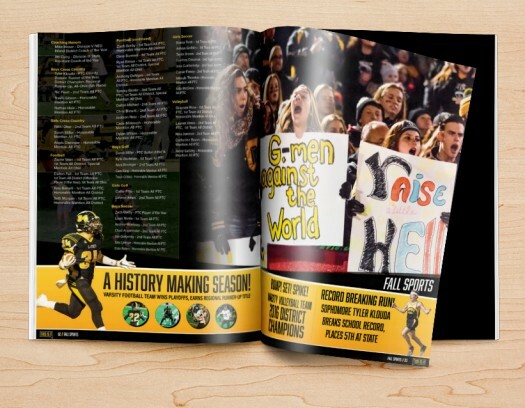 To ensure that students don’t replace the purchase of a yearbook with a few photos from your fundraising campaign, promote your extra photos as a yearbook special. Once students purchase a copy of the yearbook, they have the exclusive opportunity to get a few of these extra awesome pictures as an add-on! Make sure you also communicate to the students that purchasing a copy of these images goes to support your school. Bring along order forms when you meet with each group, so that the excitement of seeing the images translates into fundraising sales. Bring along a tablet or laptop to make it easy for students to get their yearbook order in immediately, if they haven’t purchased one yet. Also, include a note about how they can order from home, in case they don’t have a way to purchase from school. Not only will this make sure that their priority is on getting a yearbook, it gets more orders in before the end of the year sales deadline. The benefits of this idea are twofold! Also, reach out to the parents or coaches/advisers of each team or group, to spread the word–family will definitely want to get in on these frameable photos of their children in action! Your committee has taken some amazing photos throughout the spring months, and it’s just not possible to include every single shot on the pages of your publication. This is one of the best ideas to make sure that those stunning images don’t go to waste, while also raising money for your school at the same time. And since students get access to a little something extra with their book purchase, this will be one of your more successful yearbook ideas yet!